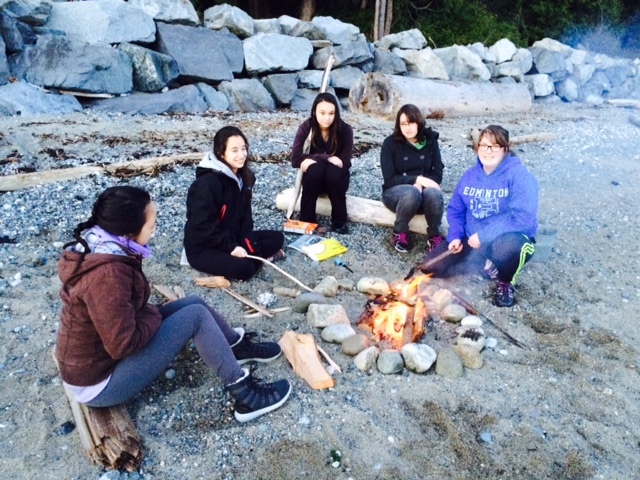 A couple of weeks ago girls from our 12th Rangers unit went for a relaxing weekend at beautiful Camp Olave. The main goals were to relax and to get to know each other better, and these goals were met with great success! The Rangers stayed in the Ranger cottage, which was a beautiful site right by the water. They were very lucky, as they ended up having beautiful weather the entire weekend. 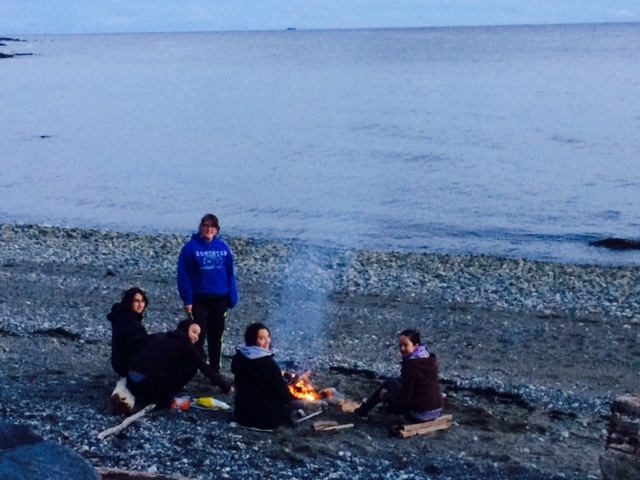 They spent the weekend hiking the various trails that Camp Olave has, cooking, and spending a lot of time on the beach! Since it was the weekend before Halloween, the girls also carved pumpkins! 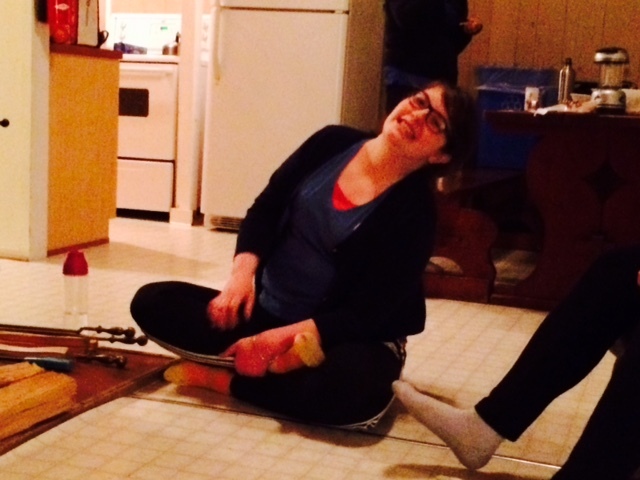 They also spent the evening playing a game of Monopoly that ended up lasting 5 hours. The girls got so serious about the game that they ate dinner around the coffee table, so that they wouldn’t have to move the game board! Afterwards, they made S’mores in the oven for mug up. These girls work hard in Guiding, at school, and with their other commitments including family, jobs, and sports. It was so nice to relax together and have fun. Recently the 12th Burnaby Mountain Rangers decided to have a hoodie drive to collect new and gently used hoodies and sweatshirts for homeless youth. 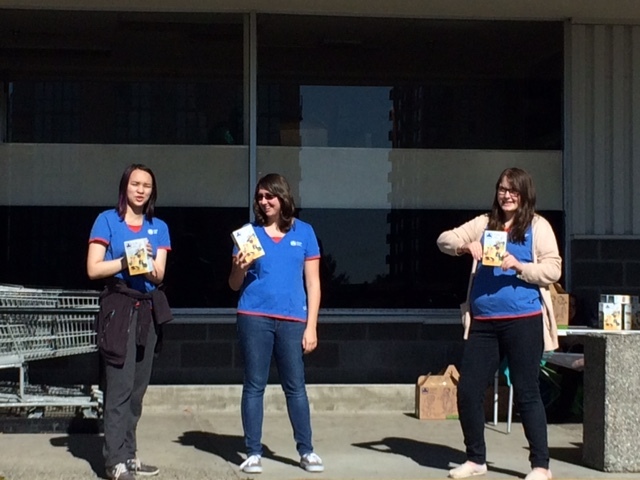 This winter has been a particularly cold one in Vancouver, and these girls have stepped up to help make a difference. Altogether they collected 92 hoodies, folded them and tagged them by size. One of the girls then made the trip downtown to deliver the donations to Covenant House where they were gratefully accepted. One of the objectives for Girl Guides of Canada as per our national strategic plan and priorities is to empower girls to have the confidence to advocate. We will continue learning effective ways to speak out and take action on issues of importance to girls and relevant to the quality of life for girls and women. Projects like this one carried out by these Rangers demonstrate exactly the kind of service project that contributes to these goals of taking action for a better world. Way to go, Rangers! We’re proud of your hard work, and confident that these 92 hoodies will help make a difference to youth in need. Last weekend the girls from the 12th Burnaby Mountain Rangers gathered for a day of snowy fun at local Mount Seymour. The wonderful group facilitators up there did a great job of helping the group plan a day of exciting adventures. On this trip the unit enjoyed both snow shoeing and tubing. It was a very fun and active day on the mountain. Originally scheduled for December, the group had to reschedule due to bad weather/driving conditions. They lucked out with great weather on the mountain this past weekend. Even more exciting was that all the girls were able to attend! This group of very busy grade 10-12 girls often have a hard time successfully scheduling time when they can all do activities together. Hopefully they’ll be able to have more similar adventures in the coming months. November was a big month for Rangers in Burnaby Mountain District. For this, our oldest age group of Guiding, ceremonies and celebrations have lots of meaning as many of these girls have been in Guiding for most of their lives. The 12th Rangers were happy to welcome new members to their unit at their enrollment ceremony. The Guiders tried to make the day special, including nice gifts. Lots of red and white made the day extra festive. Every November girls from West Coast Area gather to receive Guiding’s highest level girl awards at the annual Celebration of Achievement. At this event, two Burnaby Mountain girls who finished Rangers last year were awarded with their Chief Commissioner’s Gold Award. This award takes lots of hard work and includes a lengthy process of personal and skill development, community service, and dedication to Guiding. The celebration was a very special night and it was a pleasure to hear all the award recipients say a few words about what Guiding has meant to them. Welcome, to all the new Rangers and may your coming years have lots of fun, friendship, and excitement. The unit has lots of great adventures planned, including an upcoming snowshoe outing to Mt. Seymour. Have a great time! 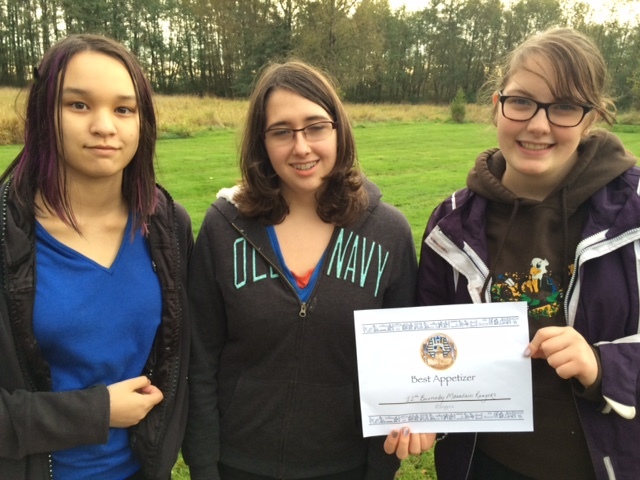 And congratulations to the girls who completed their Ranger programming last year. Burnaby Mountain is thrilled that both of these young women are continuing to be involved in our district. They are proving to be excellent assets to our team. Iron Chef: Best Appetizer, 12th Rangers! Burnaby Mountain District is very proud of our 12th Rangers for being awarded Best Appetizer at the 2015 West Coast Area Iron Chef competition. Every year, Pathfinders and Rangers from Burnaby, New Westminster, Vancouver, Richmond, and Ladner gather for an intense competition of outdoor cooking skills. Using the kinds of cooking equipment they would have access to at camp, girls prepared a full meal Iron Chef style at Deas Island regional park in Delta. The annual competition has a Halloween-theme as it always takes place at the end of October. 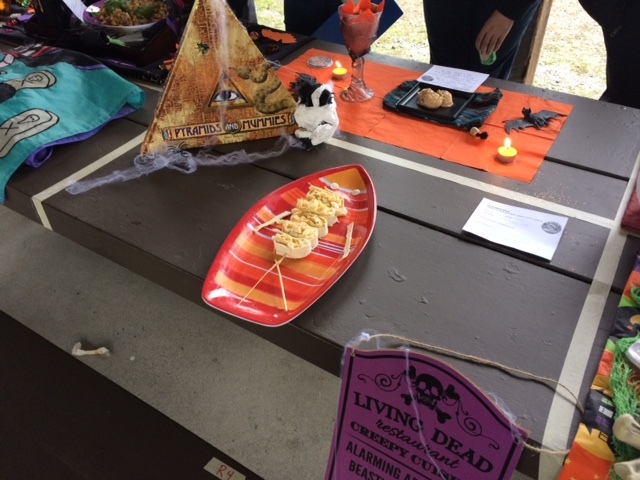 Their winning dish in the appetizer category, an Egg Salad Skeleton Wrap (pictured above), was judged based on taste, presentation, creativity, and nutrition. It’s good to know that the 12th Rangers will be well fed when they go to camp this year. Clearly, these girls have great skills. Way to go! Plenty of units in Burnaby Mountain District still have delicious Chocolatey Mint Girl Guide Cookies available for sale. Girls from the 12th Rangers have been out in the community selling to hungry customers. What kinds of things might a Ranger group do with money raised from cookies sales? Rangers might go tent camping, or kayaking. They might go to see a movie, or out to the ballet. They might go eat a fancy meal or check out a food truck festival. They might be saving for a trip to Europe, or a bicycle trip through the province. They might want to try a new skill like scuba diving or jewelry making. In short, the possibilities are endless. What will these girls do with their cookie money? Stay tuned on the district website and maybe you’ll find out. Whatever they get up to, it will involve girl greatness, fun, and friendship. Happy sales, Rangers! 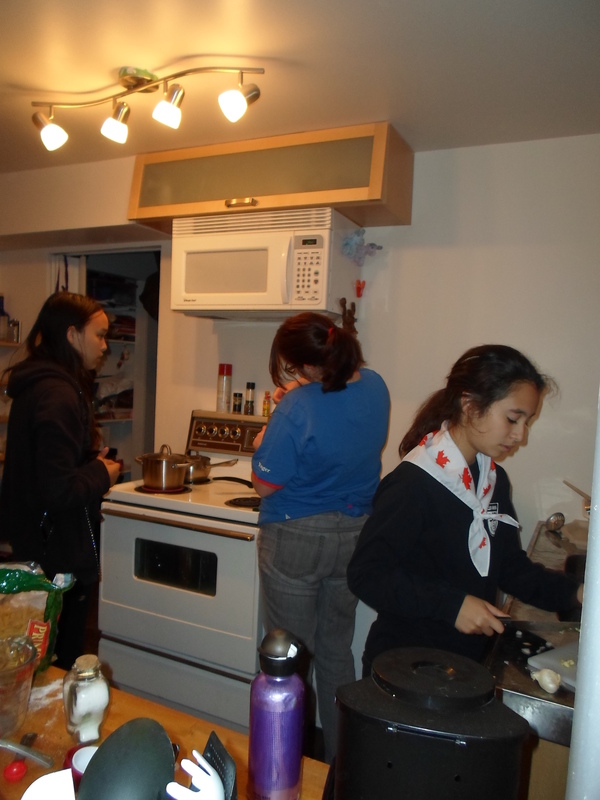 Last weekend the girls of the 12th Burnaby Mountain Rangers went to camp. It was not an especially adventurous camp — they wanted a weekend to chill out by the beach, hang out with their friends, and relax. Sounds pretty nice, doesn’t it? The lucked out with some beautiful sunshine coast weather. 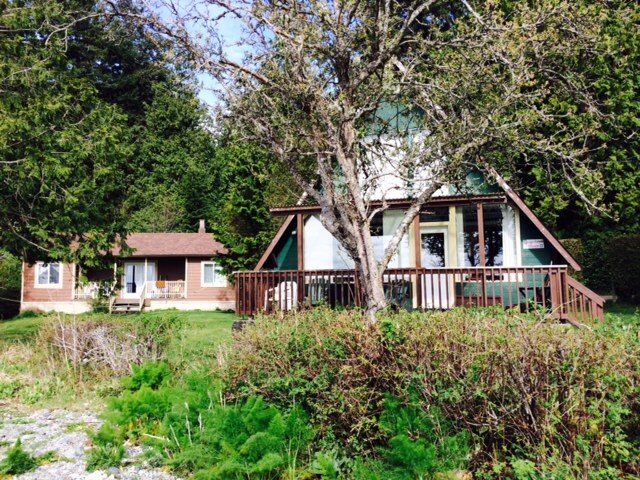 Although they spent a lot of time outside, they also enjoyed lodging in the adorable Gingerbread cottage. This unit has girls with a wide variety of Guiding experience — some of have been members almost their entire lives, whereas others have joined as recently as this year. It really doesn’t matter how new or old their friendships are, this small unit had a wonderful time camping together. Several of these girls are also junior leaders in our Sparks and Brownies units and show their dedication to Guiding year round by working hard in those roles. They certainly deserved the weekend off to relax. Here’s to plenty more opportunities for Rangers to relax and make great Guiding memories. Last month an Area wide celebration was held to recognize girls who achieved the highest awards possible last Guiding year. 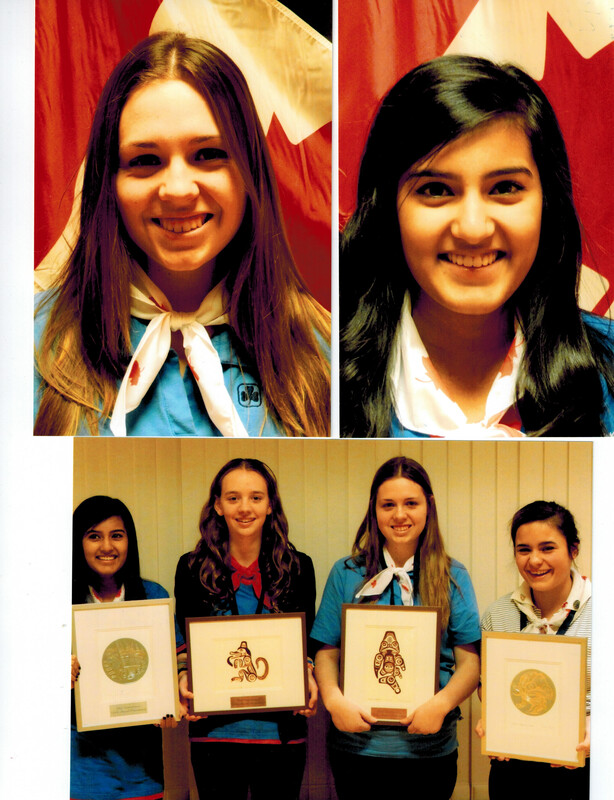 In Burnaby Mountain district two young women were celebrated for accomplishing the Chief Commissioner’s Gold Award. These dedicated members earned their award through activities in Rangers and as Junior Leaders with younger branches. The award night is an annual area tradition. It was a lovely celebration. Seen below are the recipients of the Chief Commissioner’s Gold Award with the Bill Reid prints that they received in honour of their accomplishments. Carissa and Ziyana represent Burnaby Mountain district. The Chief Commissioner’s Gold Award is the highest award a girl member can achieve in Guiding. It recognizes completion of the Ranger program including a cookie campaign challenge and a service project. This award generally takes three years to complete and successful completion of the award also entitles the girl to two additional high school credits. Way to go Carissa and Ziyana! Your district is very proud of you and we appreciate all that you’ve done for our organization. 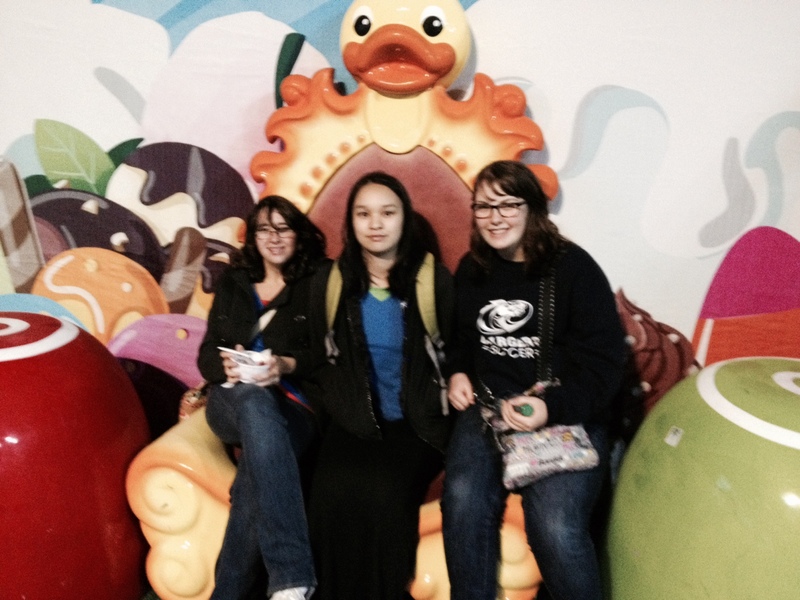 As one of their first events this year, back in September, girls in the 12th Rangers went to the Richmond Night Market. They enjoyed eating unusual treats and shopping at unique vendors. 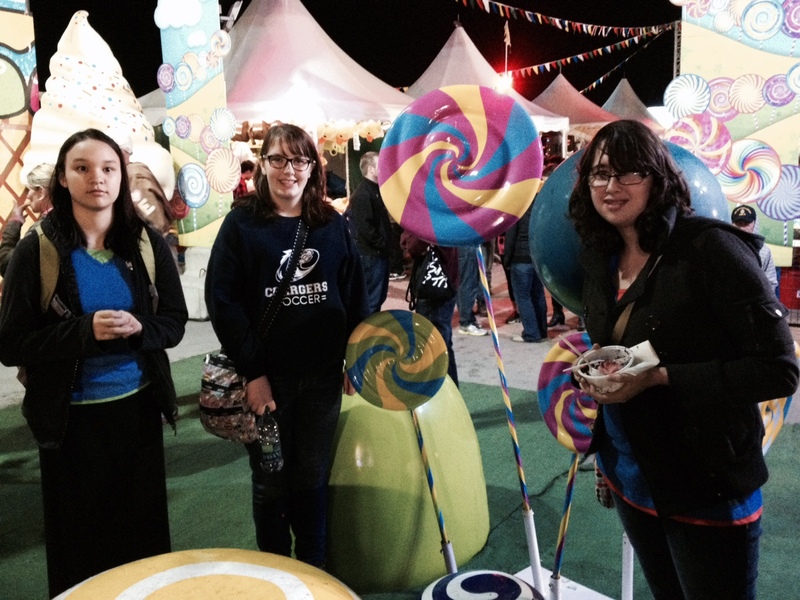 The theme at the night market this year was Magical Candyland — it was a fun night to be sure! The market was busy, colourful, and exciting. The adorable duck mascot and fun candy decorations made for a few irresistible photo ops. They were joined at the market by the 14th Pathfinders. Afterwards, the two units went back to Richmond Guide House where they tented in the backyard. Meanwhile, the 54th Brownies were having a sleepover in the house — all three units had breakfast together in the morning. It is always a pleasure to see units bridging for special events. 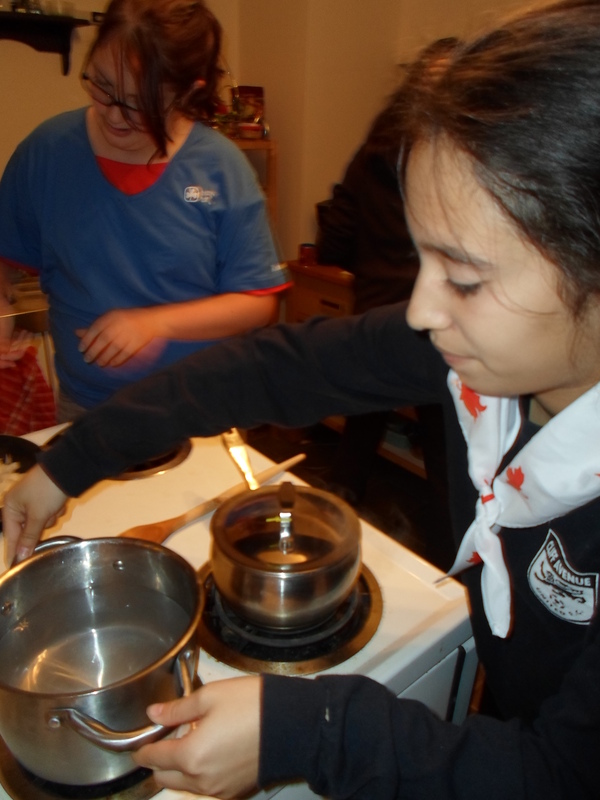 In anticipation of the Area level Iron Chef competition for Pathfinders and Rangers in which girls form patrols to create delicious meals on camping equipment, both the 14th Pathfinders and the 12th Rangers had meetings last week to practice their skills. The Rangers have some pictures to share from when they took over a leader’s kitchen. The actual competition, happening on Saturday, features guest judges including real food critics. For the practice, leaders gave feedback to the girls on how to improve their creations. 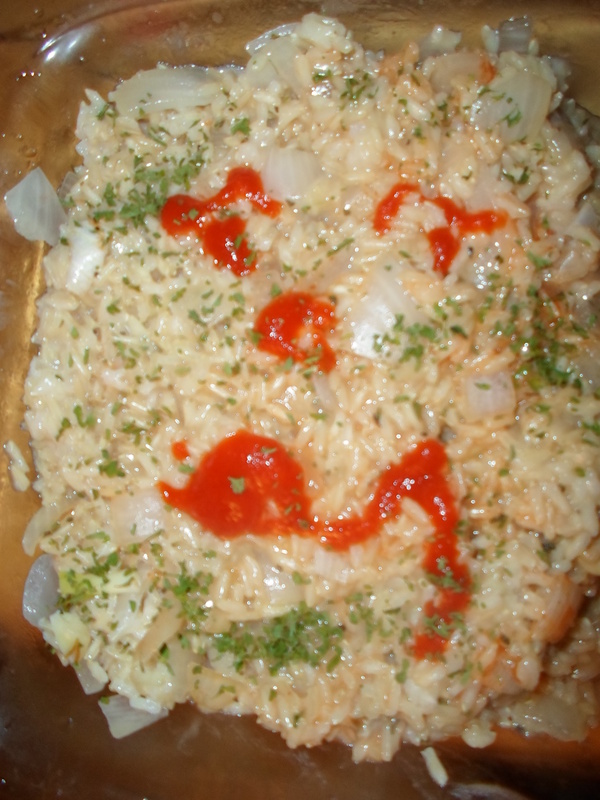 One of the Rangers’ creations was called “Thai-ish Rice” which got kudos from the leaders for its coconut flavour and the siriacha spooky face (the competition’s theme is “Frankenstein’s Masterpiece”). They would have liked to see the rice better cooked though — the crunchy rice wasn’t as appetizing as it could have been. The biggest success of the evening was that all the girls had a great time and showed great teamwork in the kitchen. The cinnamon apple dessert was quite tasty, and the leaders liked some of the creativity that they saw. Will Burnaby Mountain’s mixed Pathfinder/Ranger patrol bring home the trophy? It will be even trickier to cook on the camp equipment, outside in the cold… but these girls are up for the challenge. More importantly they are ready to have fun.